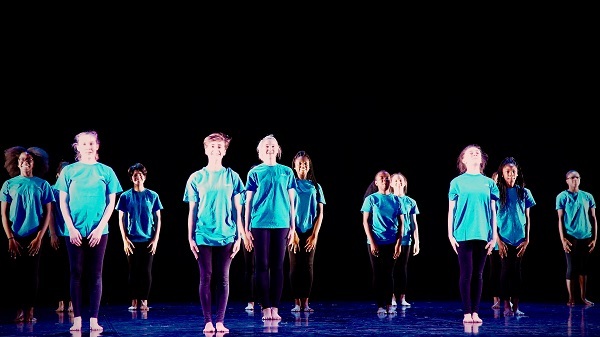 On Inspiring Future Theatre Day, we’re excited to announce a performance by over 400 young dancers that will take place at Eden Project in Cornwall on 17 July, in collaboration with National Youth Dance Company and Dance Republic 2. 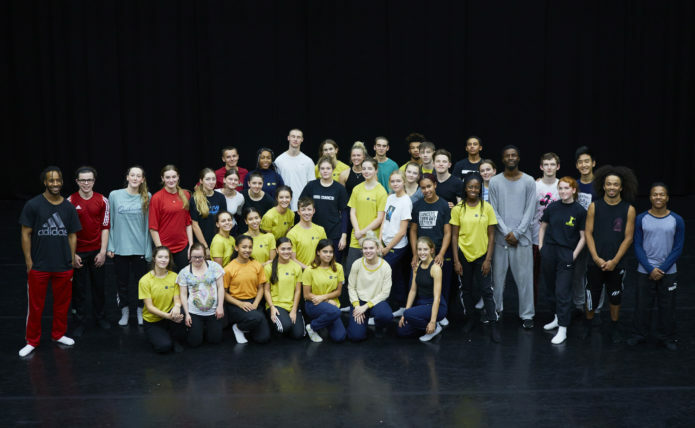 Space Time will see 41 of the most talented young dancers in England from the National Youth Dance Company travel to Cornwall to take part in this unique dance event, joining young dancers from 10 Cornwall schools and the ‘Propeller’ young dancers training programme. Throughout the afternoon, the Eden Project’s Mediterranean Biome will host performances by the young dancers, specially created for the space. Each dance group will explore a particular theme related to space or time, located across chosen sites at the Eden Project such as the Lime Steps, Spiral Garden and Avenue of the Senses, culminating in a spectacular finale with 450 young people dancing on and around the bridge near the Core Building. 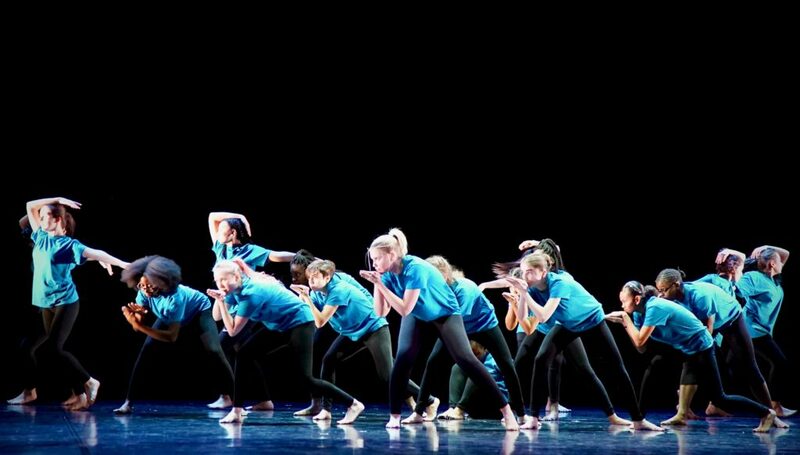 The finale to the piece was choreographed by dancers and artists from National Youth Dance Company during a residency at Falmouth University in May, and is now being taught to primary school children all over Cornwall in preparation for the performance next month. Space Time begins at 1pm on 17 July, with the finale at approximately 3.30pm. 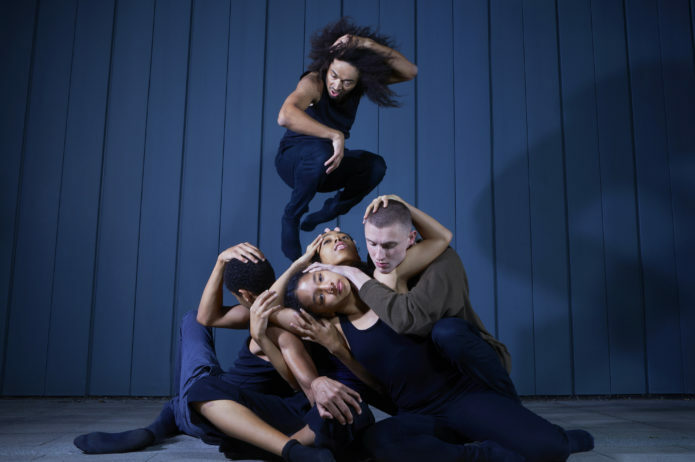 There’s also a chance to see National Youth Dance Company on tour this summer with their latest work Used To Be Blonde choreographed by Guest Artistic Director Sharon Eyal. Upcoming performances include Latitude Festival on 14 July, AMATA Falmouth on 18 July and Brighton Dome on 20 July. Find out more here. 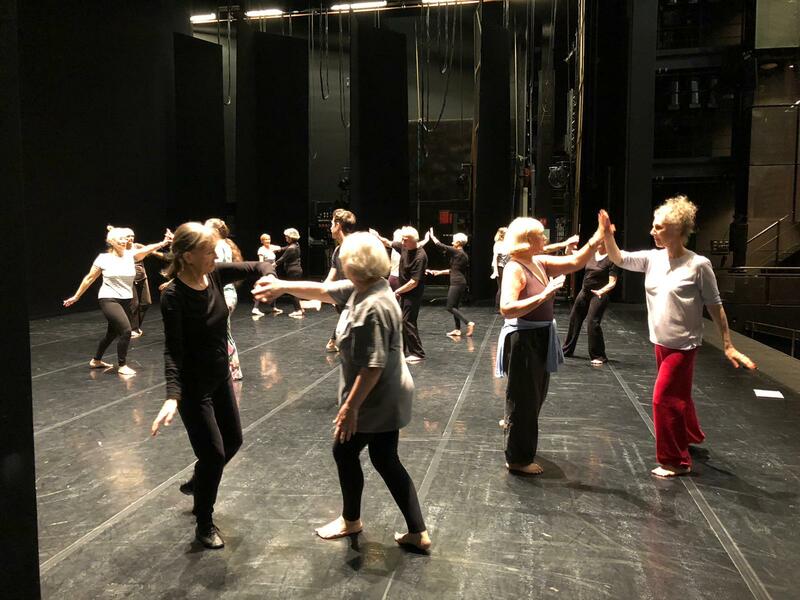 Sadler’s Wells’ pioneering Company of Elders – whose dancers range from 60 to 89 years old – has been pushing the boundaries of dance for over 20 years. 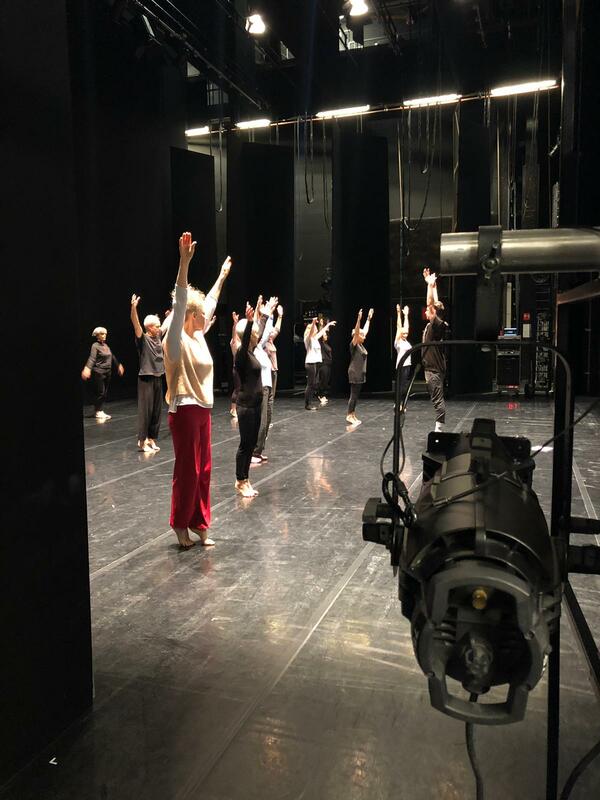 The dancers’ powerful performances in the UK and internationally have inspired similar companies to be created around the country, offering more and more people in later life a chance to dance. 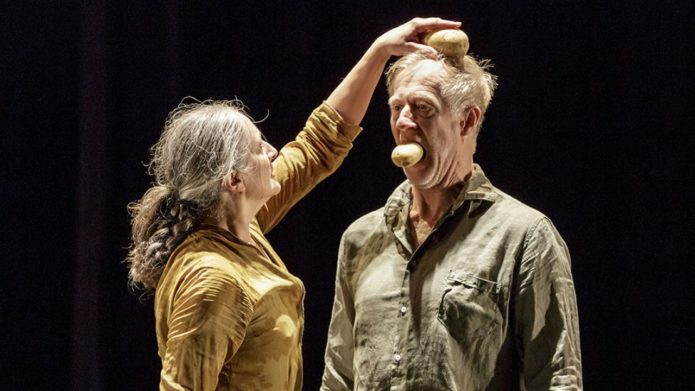 In this interview with The Elder, Sadler’s Wells’ Director of Learning and Engagement Joce Giles talks about the ageless quality of dance, the power of performance and the importance of challenging perceptions of what people can achieve and do in later life. When and why was the Company of Elders set up? The Company of Elders dates back to 1989. 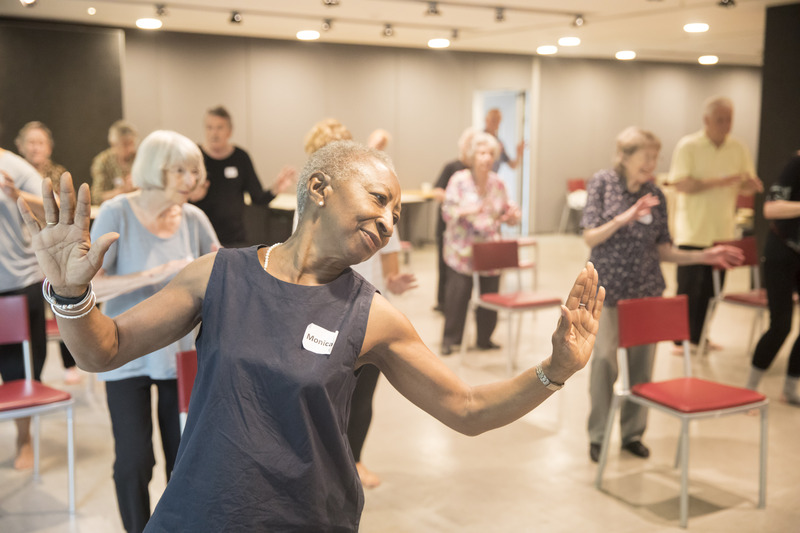 Back then, Sadler’s Wells started an arts club for older adults, and through that programme, workshops were held with visiting companies. Out of that, some ad hoc performances were organised for anyone in that group who was interested. That just snowballed, and by 1992 the Company of Elders was formed as a proper group. 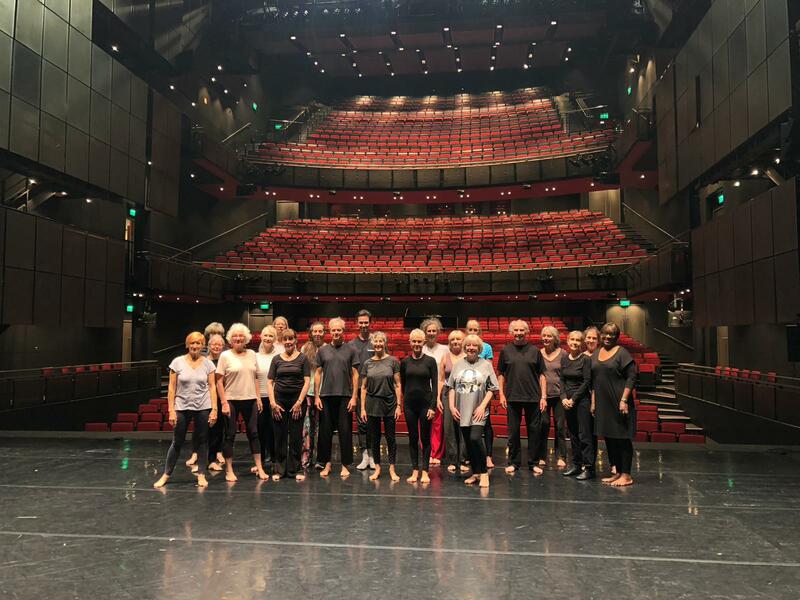 The Company of Elders actually predates the current building at Sadler’s Wells, which celebrates its 20th anniversary this year, and really it’s at the heart of how the organisation has grown over the last three decades. 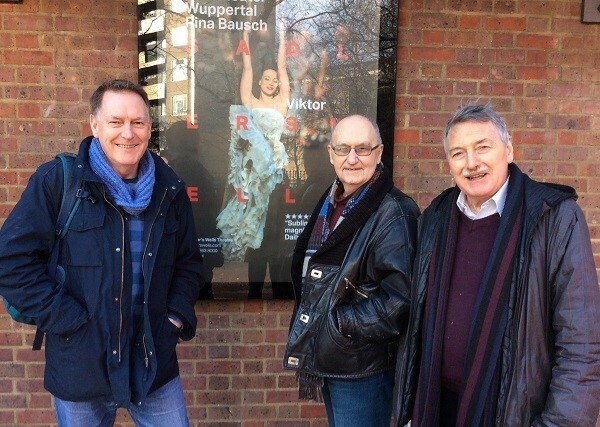 I’ve been in my role at Sadler’s Wells for just over a year and a half, but I had been aware of Company of Elders for many years before that. I have always worked in dance, and the company really captured people’s imagination in the dance sector. When its dancers first performed they were pioneers – nothing else existed like that. Now groups inspired by the company have sprung up around the UK and internationally. Is the Company of Elders made up of former professional dancers? There are no professional dancers in the group. They come from a range of different backgrounds; some may have danced when they were younger, and this is a chance to reconnect with that. For others, dance is something they have taken up since retiring. 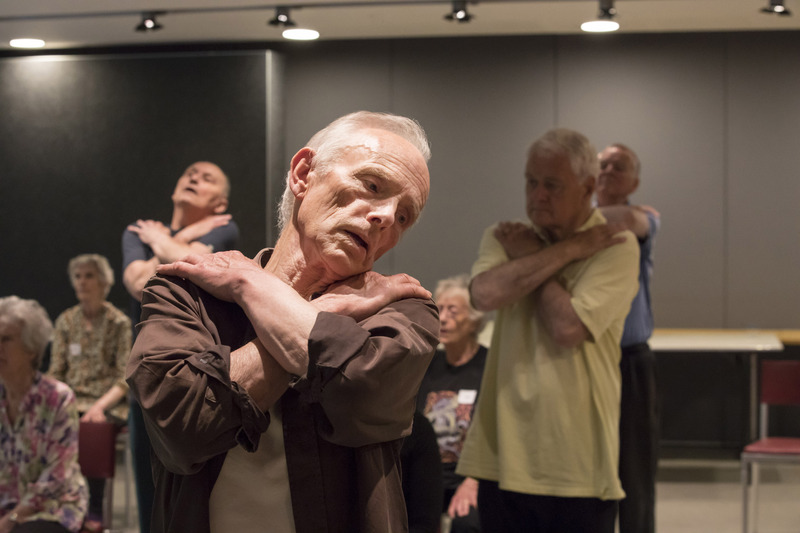 The age range is people over 60 – but within that, there are dancers in their late 80s. 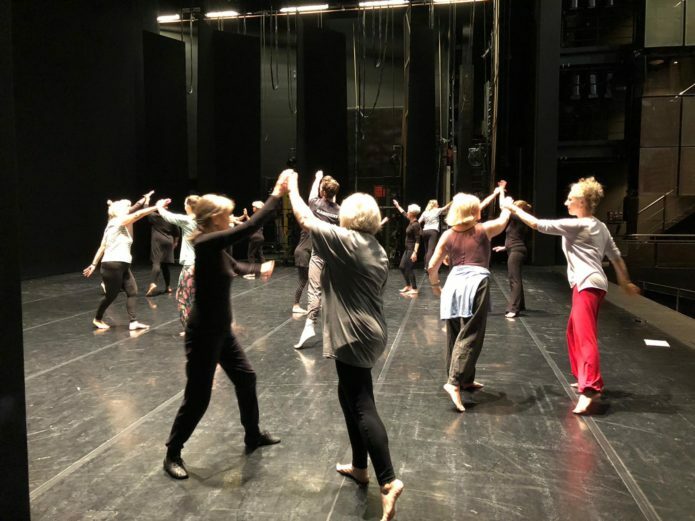 At Sadler’s Wells, we want to present dance in all its different styles, and for that to be reflected in the work that we do with programmes such as Company of Elders. 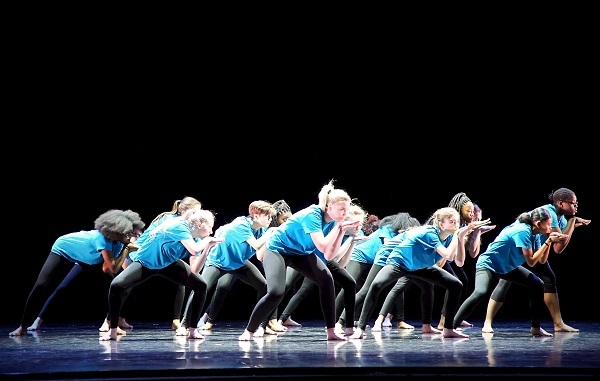 So along with contemporary choreographers, the dancers have worked with hip-hop choreographers and people who work in South Asian dance styles, for example – they are very versatile. 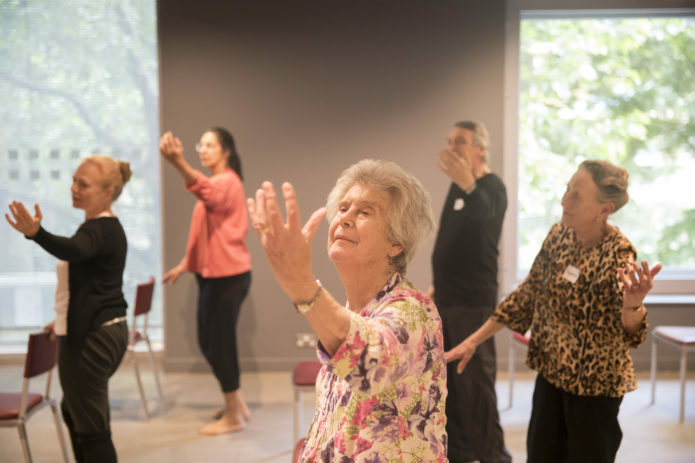 Is there anything different about dance in later life? Obviously there are some physical considerations, but actually, we ask the choreographers to come in and give a true sense of their work – and not to hold back. Company members are always clear to say if anything needs to be adapted for them – they want to be challenged. I think one of the main considerations though is communication; speaking up if people have difficulty hearing, repeating information and maybe taking a bit more time to go through the movements. In dance, we are used to seeing young performers at the height of their physical capability – and that’s fantastic to witness. But I think there’s something that an older performer, non-professional or professional, brings to the stage, that only they can – and that has a different quality. The presence that they bring to the stage is something that audiences find very powerful. Read the full interview on The Elder website. Company of Elders perform in the Lilian Baylis Studio on Friday 6 July (sold out). 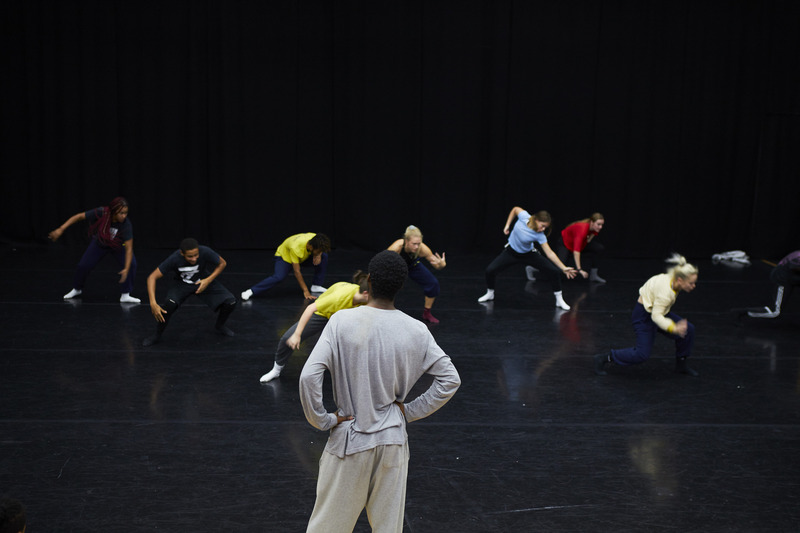 Sadler’s Wells has launched Dance Writes, a new initiative giving Islington residents the opportunity to experience dance performances and gain new skills by writing about what they have seen. 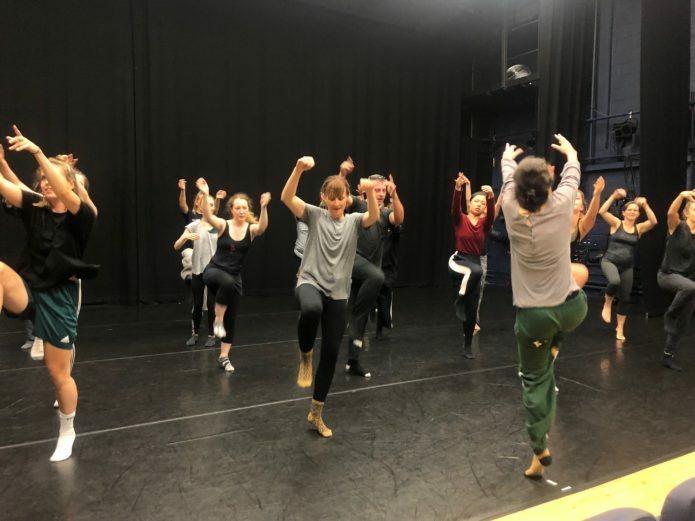 Part of our community engagement programme Get into Dance, the pilot scheme is designed to help participants convey their thoughts and feelings about a performance, and to offer them a chance to learn or improve their writing skills and deepen their engagement with dance. 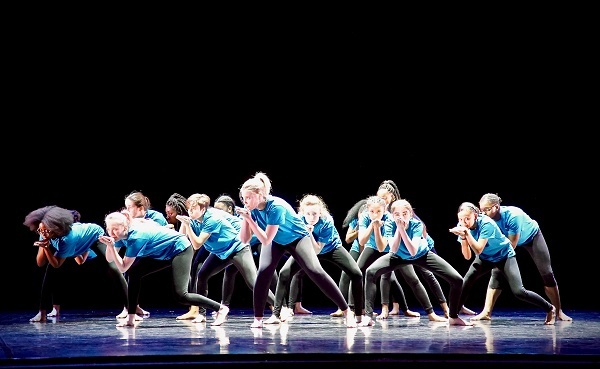 A heady new world awaited you as you entered Sadler’s Wells’ building for its annual Sampled festival. Samba beats and drums, feathered headdresses wafting above. Dancing and smiles all around. The random nature of the mosh pit’s movements and noisy teenagers. And music warming us all, with a booming 70s’ club feel. Each piece was introduced by a video clip, featuring interviews with the artists to help you better understand the work and its context. Nederlands Dans Theater 2 grabbed the stage with stop motion, sheer elastic tension. The dancers moved with precise lightening muscle blurring pristine shapes, their strength and control like a speeded up silent movie, all gesture and style. Wir sagen uns Dunkles then changed pace, deftly weaving in short, lyrical phrases. Finally, a masterly male dancer summed it all up, with a surprising touch of sadness. A dazzling, brave performance. Mass Effect’s cheeky, smoothly stitched moves won us over. BBC Young Dancers Jodelle Douglas and Harry Barnes shared their youthful perception with sharp, quirky ‘look at this’ body sequences. They melted across the floor with sass and humour, shifting the mood up. Winner of BBC Young Dancer 2017 Nafisah Baba gave us an insight into her fascinating inner life, as she showed layers of potential and playfulness in her creation Inescapable. 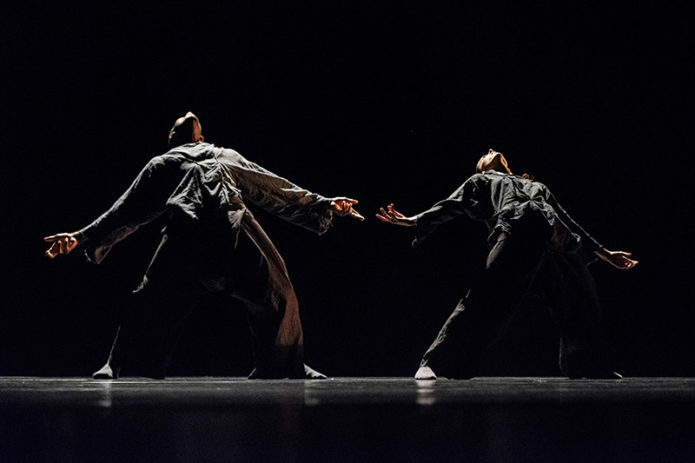 In Kin, a duet by Sadler’s Wells New Wave Associate Alexander Whitley, Birmingham Royal Ballet’s Jenna Roberts curved sinewy gazelle limbs in flowing classical waves. Jesús Carmona brought a pure flamenco blast of ‘duende’ (spirit) in sound and charismatic stage presence. He teased, sulked and stomped us all fully alive, from earth to sky. An excerpt from Humanhood’s Zero looked at gravity and the physical laws governing the universe through a spellbinding duet. The dancers played with imaginary molecular forces, spinning inside and around two bodies. As a contrast, Zenaida Yanowsky shone in the high ballet purity of The Dying Swan, but I stopped short of tears. Candoco’s pieces are often slow-burning revelations. Dedicated to… was no exception. 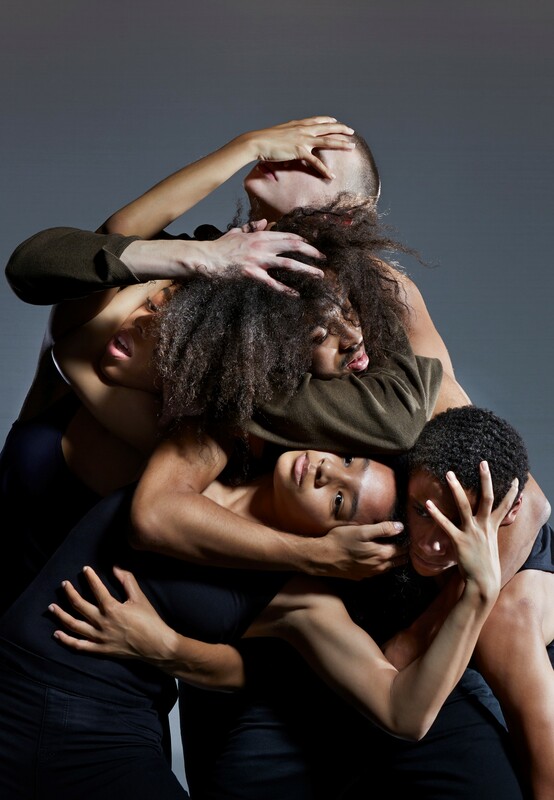 Its touching choreographic vocabulary and shapeshifting reminded me how contemporary dance is still evolving and broadening our view of how it is presented on stage. Yeah Yellow’s barnstorming, assured and joyous Yeah Yellow Sunshine blended moves from a variety of hip hop disciplines, from popping to b-boying. It shook the theatre like pepper, with a sing along to ‘Let the Sunshine in’ and crackling moves one after the other. A fitting finale to a wonderful chocolate box of dance.